Other indicators I use on my charts are RSI, Stoch RSI, EMA’s and most importantly trend lines from previous support/resistance zones. There are multiple YouTube videos explaining the concepts behind all of these, so I won’t clog up this guide with explanations. I predominantly trade the XBT Perpetual Contract. So this guide will base itself around this contract type. The theory behind margin trading is pretty simple. You acquire a certain amount of contracts for a certain price, watch them go up or down and sell them back at the new price. You keep the difference between your buy/sell price. It works in both directions; you can make money when the price is falling, just as you can when it is increasing. You buy (go LONG with) 10 XBT at a price of USD6000. Your position is LONG 10 XBT x USD6000 = 60,000 Contracts. The price of XBT increases to USD7000. Your loss would have been: 60,000 x 1 x (1/6000 - 1/5000) = -2.0 XBT. Notice how your loss is greater? This is due to the inverse and non-linear nature of the contract. So the opposite applies if you went SHORT instead. Your profit would be greater if the price moved down than the loss if it moved up. In the example above the 1 refers to your Leverage. So if you had 10x Leverage you would have made 14.286 XBT on the LONG, and lost 20 XBT on the SHORT. So let me begin this guide with some terminology that was foreign to me when I began margin trading. Leverage - A multiplier for your trades. BitMEX offers up to 100x leverage. Limit - An order type where you set the price at which you desire to Buy/Sell. Placing this type of order will attract a Maker Rebate (See below). Liquidation - A price point determined by your margin, leverage and current contract price whereas, if reached, your entire position will be closed automatically. AKA. Getting REKT! Long - Going LONG on a trade means that you believe that the price of the stock will increase. Maker - A term used to describe those users who place their orders through the Limit option. A rebate is paid to Makers. To qualify for a Maker Rebate, your order must actually appear on the orderbook. Margin – The total equity you hold within the exchange or within a position. Market - An order type where the price you Buy/Sell at is given by BitMEX based on the current orderbook. Placing this type of order will attract a Taker fee (See below). Position - When you’ve entered a trade (Short or Long) your position details the amount of contracts you are trading, the entry price, your liquidation price, and your margin. Short - Going SHORT on a trade means that you believe that the price of the stock will fall. Stop Loss - An order you can set to close a portion of or your entire position should a certain price be reached. Usually used to set a price point that you are willing to absorb a loss. A golden rule of margin trading is to set a Stop Loss to avoid Liquidation. Also known as SL or Stops. Taker - A term used to describe those users who place their orders through the Market option. A fee is charge to Takers. - The last few FOMO Indicator signals to see whether there has been movement one way or another. - The RSI. If it is above 70 or below 30 I know that it's oversold/overbought. - The Stoch RSI. It's a great indicator to show you when the trend will slow down and possibly reverse. - The EMA's. If the candles are using the EMA's as support/resistance this helps. - Any trend lines I have on my chart. I then do the same for 15 min, 30 min, 1 hour, 2 hour, 4 hour & Daily. You'll be able to see trends if they all have super low RSI or something in common. Then if the stars align you're in business. 90% of the time they wont all say the same thing. So, then I put it down to different timeframes. If I am planning to be trading a for a longer period of my day, say 5-8 hours, I go solely off the 1 hour chart. If I want my trade closed in under half an hour I'll use the 5 minute. This one isn't great for showing trends though and can be quite risky. 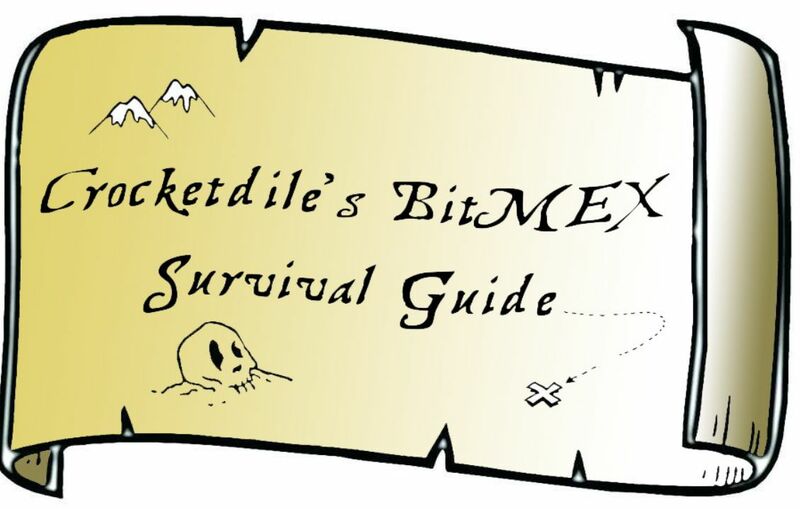 原作者来源：r/BitMEX - I made a guide for BitMEX that may assist some of you newer traders.